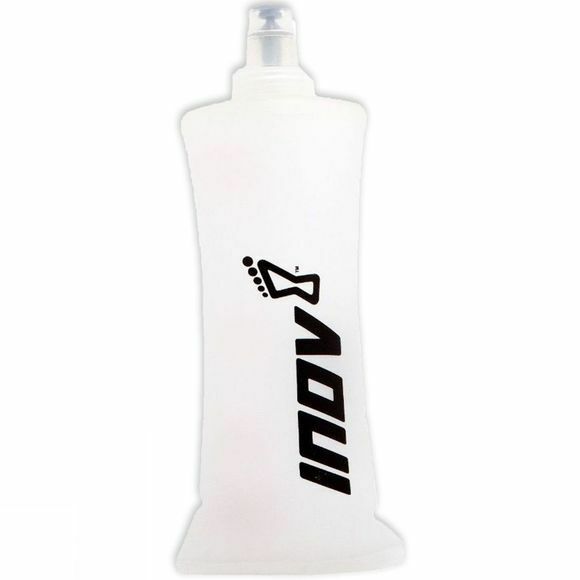 A compressible softflask designed to hold up to 500ml of water or gels with 12" drinks tube. 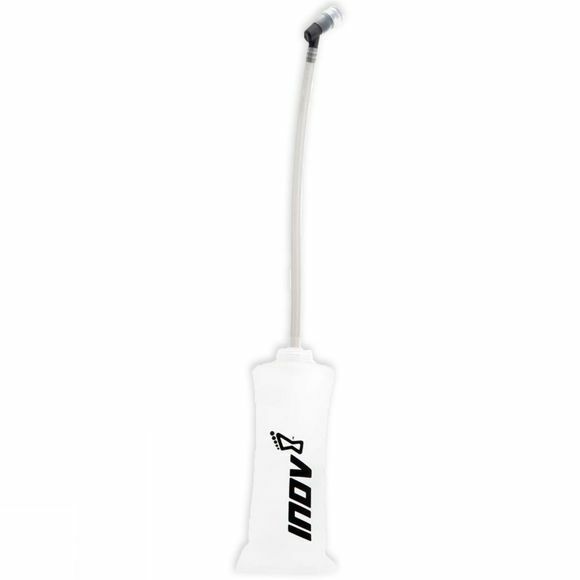 Squeeze to drink or eat contents and remove all air to reduce bounce. Quick and easy to remove from all pockets or comfortable to run with when paired with the RACE ULTRA 0.25. Simply squeeze flask while using teeth to gently bite the nozzle. Once contents are consumed, flask can be compressed small and carried light. Can hold gels and formulas as well as regular fluids.